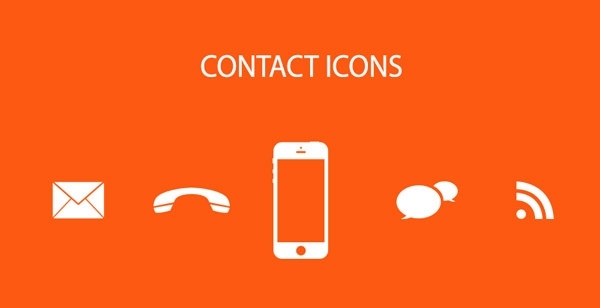 Icons are designed to decode large amount of information with single image, in a symbolic way. It is quite natural that, every organization craves to put their product output as a unique one. For such users, we proudly release our Free PSD Contact Icons collection, specifically chosen to support .svg, .png, .eps file formats. These are widely used in web and mobile applications for accessing data like Instant Messaging, SMS, MMS, Emails, Voice Calls and Video Calls. To provide perfect user interface, our vector icons are available in great quality to swipe off the chances in declining image resolution while performing modifications.